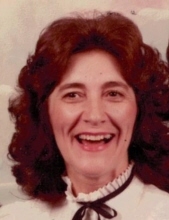 BLOOMINGDALE- Judith (Judy) Elaine Lindley, 85, went to be with her Lord and Savior on Saturday, November 24, 2018 at Union Hospital in Terre Haute, IN. Judy was born on August 22, 1933 in Anderson, IN. to the late Emerson McFarlin and Nola (Rees) McFarlin. She married Walter Cook Lindley on April 30, 1953 at Westfield Friends Church and they enjoyed 62 years of marriage. She is survived by a daughter, Lynn Marie Guyer (Larry) of Syracuse, IN. Two sons, Stephen Reese Lindley (Donna) of Bloomingdale, IN. and Walter Kent Lindley (Dale Moore) of Roseville, Minnesota. Two grandchildren, Stephanie Studebaker (Travis) and Bradley Lindley of Bloomingdale, IN. Eight great grandchildren, Connor, Shelby, and Aidan Crum, Sommer and Cadence Studebaker, and Scout, Alexis and Reagan Lindley. A sister, Carolyn Ford of Indianapolis, IN. Three nieces, Julie McConnell of Noblesville, IN, Shelly North of Indianapolis, IN, and Michele McCleneghan Frederick of Arizona. One nephew, Kevin Ford, of Indianapolis, IN and several great nieces and nephews. She was preceded in death by her parents, grandparents, Earnest and Altabert Rees, Husband Walter, one son Kevin, a sister Nadine McConnell. She was a 1951 graduate of Tangier High School. After graduating, she was the secretary of Westfield High School. She was a member of Rush Creek Friends Church, had been active in the Parke County Choral Club, Parke Singers, Tangier Home Ec Club, and Rush Creek USFW. Judy was known for her love of music, which began at an early age. When she was just three years old, she sang in the Hinkle Creek Friends Church choir while standing on a chair by her grandfather. She and Walter shared that love with others through their performances at numerous weddings and funerals through the years. The family wishes to extend their sincere gratitude to the following caregivers that have taken such great care of Judy over the years: Darla Smith, Judy McGrew, Jackie Waddell, and Kaitlyn Langdon. Visitation will be held on Wednesday, November 28, 2018 from 4-8p.m. at Gooch Funeral Home, 112 W. Howard St., Rockville, IN. The funeral will be held on Thursday, November 29, 2018 at 11:00 a.m. at Rush Creek Friends Church, 11025 Bdale Rd, Bloomingdale, IN. Burial will follow at Rush Creek Cemetery. Memorial donations, if so desired, may be made to the Rush Creek Friends Church Building fund. To send flowers or a remembrance gift to the family of Judith Elaine Lindley, please visit our Tribute Store. "Email Address" would like to share the life celebration of Judith Elaine Lindley. Click on the "link" to go to share a favorite memory or leave a condolence message for the family.